Iconwines is a special wine tasting that is carried out once in year in Helsinki within Cultural Center of Sofia. Sofia is a place for people to meet and slow down. 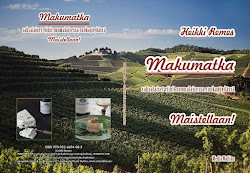 Metropolitan Ambrosius is a host for a small group of persons who will gather together to have multicultural meeting with icons and iconwines around the world. Iconwines represents absolut top of the wines in certain country. Low profile and independent prestige earned by critics outside builts the image of icons. Most important is the wine itself, its excellence and upright. This autumn it was time for special and premium red wines from Chile to meet at table. Wines had origins from different wine valleys of Chile. They differ with terroirs and grapes, some are varietal and some blends. The wines are tasted half blinded. Tasters know what wines are involved but not their order. 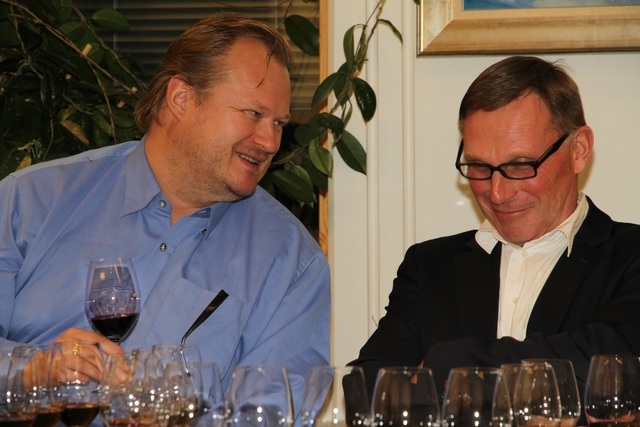 Metropolitan Ambrosius and Erkki Naski, head of Wine of the Year contest in Finland, are concentrated to judge the wines. Wine journalists, Pekka Suora and Seppo Määttänen, have found some pleasant and mouthfilling wine according to their look. Lota/Maipo (91,2 points), La Cumbre/Aconcagua (90,5 points) and Protegido/Maipo (90,4) were three best wines among Chilean quality wines in this very even tasting. Others were Kankana/Elqui, Ocio/Casablanca, MicroTerroir/Colchagua, Don Melchor/Maipo, Cenit/Colchagua, Tara-Pakay/Maipo, Parras Viejas/ Colchagua, Manso De Velasco/Curico and Tierras Moradas/Maule. Lota, a blend of Cabernet Sauvignon and Merlot, was primus inter pares within these ultra premium wines from Chile. Color was almost black and the aromas displayed blackberry and plums. Wine was full-bodied, complex, very balanced and full of flavours. Wineman Heikki Remes.